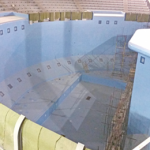 A 110m2 fountain was waterproofed using our very successful MARISEAL 300 Drinking Water Tank Waterproofing System. This fountain is holding a original Joan Miro sculpture and is recognized by art lovers worldwide. In the new Joan Miro fountain our MARISEAL 300 Drinking Water Tank Waterproofing System was used to waterproof the entire surface. The products used were the MARISEAL 750 which is a transparent, rigid, two component epoxy solvent-free primer that cures by reaction of the two components. It is mainly used as a primer for polyurethane coatings. It can be used on surfaces like concrete, metal, wood and asphalt. It has simple application, excellent anchoring to the surface, solvent free and resistant to water. It provides high tensile and impact strength and also strong vapor barrier properties. The consumption is 250-300 gr/m2 in one layer. it is supplied in 8+4 kg pails. 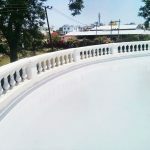 After the application of the MARISEAL 750 primer, allow 12 hours, and while the primer is still soft a bit the application of the polyurethane coating is necessary. 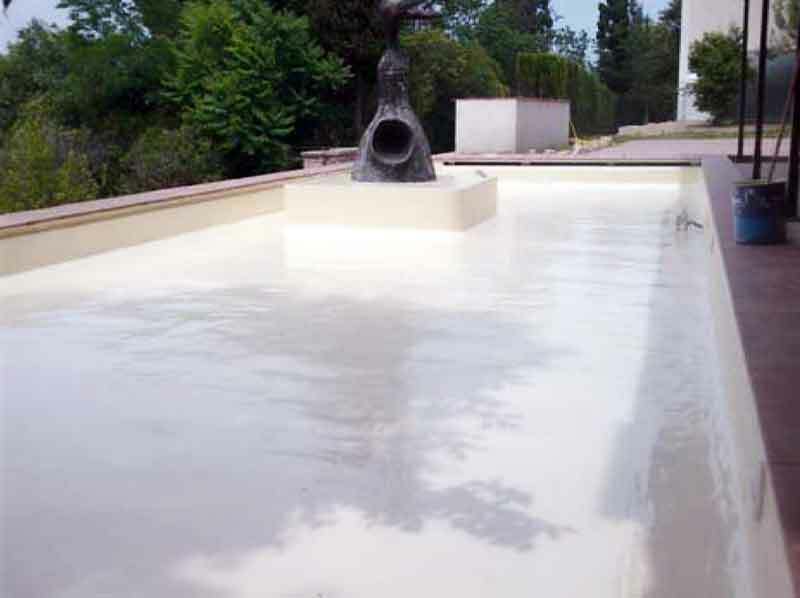 MARISEAL 300 is a liquid-applied, solvent-free, hard elastic, cold curing and cold applied, two component polyurethane membrane used for long-lasting waterproofing and protection. It cures by reaction of the two components. It is applied after 12 hours of the application of the MARISEAL 750 and it is used for the waterproofing of drinking water supply channels and pipes, tanks and large and small reservoirs, odorless waterproofing of wet areas, under tile, in bathrooms, swimming pools, kitchens. It is used for waterproofing of surfaces in direct contact with potable drinking water. It is certified for use in potable drinking water reservoirs, resistant to water by maintaining its mechanical properties over a temperature span of -40 C to +100C. It remains elastic even at low temperatures with full adherence, and low cost.